The accelerated integration of the new generation of information technology and manufacturing with the core of smart manufacturing has become a prominent trend in the development of advanced manufacturing in the world. At present, China has explored and formed a new model of intelligent manufacturing that is more mature, reproducible and can be promoted. 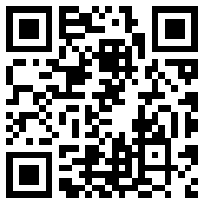 The intelligent manufacturing promotion system has also basically taken shape. In the future, we must further strengthen technological innovation on the supply side, actively cultivate the ecological system, and accelerate the development of manufacturing. Strong country. On the web page of the terminal manufacturer, consumers choose and even customize their favorite styles, colors, shapes and functions, and then automatically place orders to start production, which has been regarded as a typical application of intelligent manufacturing. Of course, smart manufacturing is not only this, it runs through the entire manufacturing process and profoundly changes the efficiency and mode of manufacturing. The Ministry of Industry and Information Technology and the National Standardization Management Committee recently issued the "Guidelines for the Construction of National Intelligent Manufacturing Standards System (2018 Edition)" (hereinafter referred to as "Standards"). It is proposed that by 2018, more than 150 intelligent manufacturing standards will be revised and revised. Covering basic common standards and key technical standards; by 2019, it has formulated and revised more than 300 intelligent manufacturing standards, comprehensively covering basic common standards and key technical standards, and gradually established a relatively complete intelligent manufacturing standard system. "The accelerated integration of the new generation of information technology and manufacturing industry with intelligent manufacturing as the core has become a prominent trend in the development of advanced manufacturing in the world. It is necessary to focus on the main direction of intelligent manufacturing, accelerate the pace of building a strong country, and accelerate the development of economic development to quality and The improvement in efficiency has been transformed," said Xin Guobin, deputy minister of the Ministry of Industry and Information Technology. Accelerating the promotion of intelligent manufacturing is an important focus for accelerating the deep integration of industrialization and informatization in China and promoting the structural reform of the supply side of the manufacturing industry. It is of great significance to reshape the new competitive advantages of China's manufacturing industry. The "2017-2018 China Smart Manufacturing Development Report" released recently shows that China has become the world's largest intelligent manufacturing market, and by 2020 the market size will exceed 220 billion yuan. 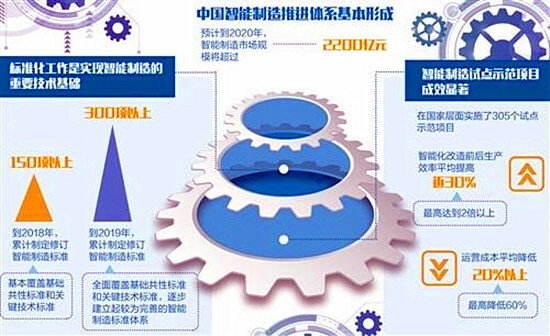 The “First Recommended Catalogue of Intelligent Manufacturing System Solution Providers” issued by the Ministry of Industry and Information Technology shows that more than 20 of them have a main business income of more than 1 billion yuan. Intelligent manufacturing, standards first. Standardization is an important technical basis for intelligent manufacturing. Zuo Shiquan, director of the Equipment Industry Research Institute of the CCID Research Institute of the Ministry of Industry and Information Technology, believes that intelligent manufacturing standards have the characteristics of cross-industry, cross-disciplinary and inter-disciplinary. Therefore, the new standards must break the boundaries of industry, geography and profession, both based on domestic demand and The international system has established a national intelligent manufacturing standard system covering three basic standards: basic commonality, key technologies and industry application standards. It should be emphasized that efforts should be made to break through the barriers between Chinese standards and international standards, and more attention should be paid to the interconnection between various intelligent systems. "In recent years, China has explored and formed a group of relatively mature, reproducible and scalable intelligent manufacturing models. In the technical standards, it has developed a number of key standards such as the digital factory reference model, and initially established an intelligent manufacturing standard system. Architecture." Zuo Shiquan said. The "Standard" emphasizes the formation of five key technical standards: intelligent equipment, smart factories, intelligent services, intelligent enabling technologies, and industrial networks. In this regard, Zhixing Group Chairman and President Li Xinghao said that this pointed out the development direction for smart manufacturing enterprises, starting from smart equipment and upgrading to smart factories, intelligent services and industrial networks. In addition, “it is necessary to pay close attention to formulating a number of basic commonalities and key technical standards that are urgently needed for industrial intelligence transformation, gradually improve and perfect the intelligent manufacturing standard system, and accelerate the transformation of innovative technological achievements to standards”. Xin Guobin said. The industry has fully realized that smart manufacturing can shorten product development cycles, improve production efficiency and product quality, and reduce operating costs and resource and energy consumption. Accelerating the development of intelligent manufacturing can not only improve the quality and efficiency of traditional manufacturing, but also effectively promote the rapid growth of emerging industries such as smart equipment and industrial software, and at the same time help China's traditional industries to achieve dynamic matching between manufacturing and market diversification needs. Increase output, reduce consumption, improve quality, substantially increase labor productivity, and offset the impact of rising costs of labor, raw materials and other factors. "Developing smart manufacturing will play a historic and revolutionary role in cracking down on the problem of inadequate development of China's manufacturing industry." Xin Guobin said. Zuo Shiquan introduced that the effectiveness of China's intelligent manufacturing pilot demonstration project is very obvious. The production efficiency before and after intelligent transformation is up to 2 times; the operating cost is reduced by more than 20% and the highest is reduced by 60%. Some enterprises have actively applied new modes of intelligent manufacturing, and have achieved significant improvements in production efficiency through mass customization, remote operation and maintenance services, and network coordinated manufacturing. “Many companies are now actively developing smart manufacturing, because smart manufacturing can actually improve efficiency, reduce costs and enhance competitiveness.” Li Xinghao introduced that as early as 2012, Zhigao Group launched an intelligent strategy and launched the world’s first intelligent cloud air conditioner. , built the industry's only global intelligent cloud air conditioning big data center, and led the drafting and release of China's first intelligent cloud air conditioning standard. At present, the home appliance industry represented by air conditioners is moving from smart items to intelligent ecosystem systems. The future air-conditioning industry is an era of intelligence, as is manufacturing. Zhigao is accelerating the research on the most advanced intelligent manufacturing strategic layout and striving to transform into “China's smart manufacturing”. Xin Guobin pointed out that China has become the world's largest market for smart manufacturing demand. It is necessary to take the initiative to take advantage of this huge market demand and accelerate the promotion of smart manufacturing. Xin Guobin said that in recent years, China's intelligent manufacturing promotion system has basically taken shape, and breakthroughs have been made in key areas. The pilot demonstration has achieved remarkable results. 305 pilot demonstration projects were implemented at the national level, and production efficiency increased by an average of nearly 30%. It is understood that the current intelligent manufacturing promotion system has formed a work pattern of joint promotion of central and regional cooperation, production, education and research, and all aspects of the work. Overall, the conditions for China's comprehensive promotion of intelligent manufacturing have matured. On the one hand, the supply of intelligent manufacturing core equipment continues to increase, and the ability to integrate services continues to increase. China has successfully broken through and applied a series of key technical equipment, including high-end CNC machine tools and industrial robots, additive manufacturing equipment, intelligent sensing and control equipment, intelligent detection and assembly equipment, intelligent logistics and warehousing equipment. On the other hand, the basic support capabilities of intelligent manufacturing are constantly being consolidated, and the intelligent manufacturing standards system is gradually improving. However, it should also be noted that in the process of implementing intelligent manufacturing, China still faces the situation that core technical equipment, supporting software, control systems, etc. are subject to people, and it is necessary to strengthen technological innovation on the intelligent manufacturing supply side to meet the needs of intelligent manufacturing development. "We must promote the development of intelligent manufacturing from two aspects. First, promote the transformation of manufacturing intelligence, and second, foster the development of intelligent manufacturing, including intelligent manufacturing equipment, core software systems, system integration capabilities, etc., to foster emerging industries." Zuo Shi All said. Xin Guobin stressed that it is necessary to actively cultivate an intelligent manufacturing ecosystem, and use market applications to drive key technical equipment, intelligent manufacturing standards, core industrial software, industrial Internet platforms and system solutions to effectively improve the supply capacity, and form a "China program" to develop intelligent manufacturing. .